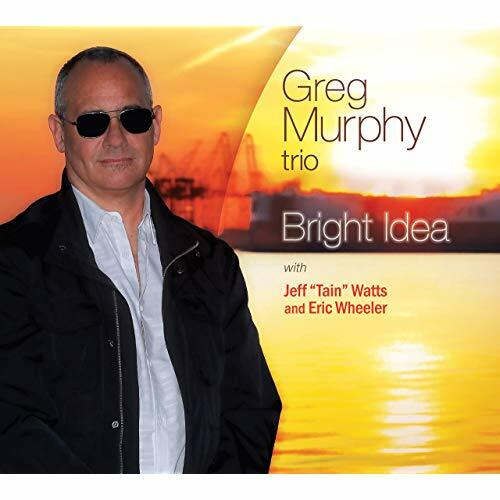 The truly bright idea on keyboardist Greg Murphy’s Bright Idea was to bring in drummer Jeff “Tain” Watts. It isn’t just that Watts is a legendarily powerful player who, after making his name with the Marsalis brothers, went on to energize albums by Michael Brecker, Danilo Pérez, David Kikoski, and others; he also fits well with Eric Wheeler, Murphy’s regular bass player. Listen to the two work together on the album-opening “Softly, as in a Morning Sunrise” and the chemistry is obvious. The modal variation Murphy devised for the tune’s minor-key groove gets turbocharged by Watt’s churning, Blakey-style polyrhythms. What could have come off as just a pleasant, hard-bop take on an old chestnut is not only sparked into life but made to sizzle. The best bits of Bright Idea follow suit, with Murphy’s workmanlike solos given a jolt of energy that lifts everything a notch higher. There’s a lovely swagger to their take on Bruno Mars’ “24K Magic,” while their reading of the recently discovered John Coltrane tune “Untitled Original 11383” is strong and convincing. Even the Pharrell Williams earworm “Happy” takes on heft thanks to the grounding Watts and Wheeler provide.